We’d love your help. Let us know what’s wrong with this preview of The Myth of Sanity by Martha Stout. "When we say a friend was 'like a different person,' we may be more right than we know." Why does a gifted psychiatrist suddenly begin to torment his own beloved wife? How can a ninety-pound woman carry a massive air conditioner to the second floor of her home, install it in a window unassisted, and then not remember how it got there? Why would a brilliant "When we say a friend was 'like a different person,' we may be more right than we know." Why would a brilliant feminist law student ask her fiancé to treat her like a helpless little girl? How can an ordinary, violence-fearing businessman once have been a gun-packing vigilante prowling the crime districts for a fight? A startling new study in human consciousness, The Myth of Sanity is a landmark book about forgotten trauma, dissociated mental states, and multiple personality in everyday life. In its groundbreaking analysis of childhood trauma and dissociation and their far-reaching implications in adult life, it reveals that moderate dissociation is a normal mental reaction to pain and that even the most extreme dissociative reaction-multiple personality-is more common than we think. Through astonishing stories of people whose lives have been shattered by trauma and then remade, The Myth of Sanity shows us how to recognize these altered mental states in friends and family, even in ourselves. "We only think we're sane, says this Harvard psychologist... The befuddled, normally sane masses can learn a lot from the victims of grave psychological abuse." To ask other readers questions about The Myth of Sanity, please sign up. This review has been hidden because it contains spoilers. To view it, click here. 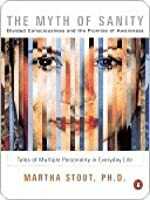 A very easy to understand book written about dissociative identity disorder (previously known as multiple personality disorder). I didn't like the writer's style, which I found rather twee and cloying, but she gets full marks for clarity and for giving a first rate explanation of this syndrome. The basic thread that runs throughout the book is that this condition is experienced by people across a broad spectrum. The sort of drama and disruptive switches in personality states that we associate wit A very easy to understand book written about dissociative identity disorder (previously known as multiple personality disorder). I didn't like the writer's style, which I found rather twee and cloying, but she gets full marks for clarity and for giving a first rate explanation of this syndrome. The basic thread that runs throughout the book is that this condition is experienced by people across a broad spectrum. The sort of drama and disruptive switches in personality states that we associate with films like Sybil are extremely rare. Much more common are people who suddenly go into rages, or into other mood states. It is usually observed as a change of mood rather then a change of personality. And then afterwards they often forget the time spent in these mood states. This can go as far as causing amnesia for hours or even days. Another frequent hallmark of this condition is that people cannot remember large chunks of time when the initial trauma took place. Often this means they remember very little about their childhoods. What suffers of DID do experience in the here and now are things like depression, nightmares, or chaotic flashbacks. As children, when suffering trauma, they will have put themselves into different personality states in order to cope with the stress of the situation. If something in the present day causes them stress, these earlier personality states can once again be triggered. These changes are usually quite subtle though, in terms of outward appearance - both in childhood and when triggered again in adulthood. Too subtle for friends and relatives to notice that a drastic change in personality has taken place. The victim may well be oblivious to the change too, and afterwards just blank it out. The author writes very interestingly about hypnosis, which she uses with many of her patients. She mentions the difficulties of false memory syndrome, but says that for people with DID, dredging up hidden memories is absolutely essential, and hypnosis is a very good way of doing this. It just has to be done very carefully, by an ethical practitioner who knows what they are doing. 1) The presence of two or more distinct identities or ego states "each with its own relatively enduring pattern of perceiving, relating to, and thinking about the environment and self". This occurs in an individual for whom at least one of these ego states "recurrently take control of behaviour." 2) The condition is marked by an "inability to recall important personal information that is too extreme to be explained by ordinary forgetfulness." 4) Individuals with Dissociative Identity Disorder often report having experienced physical and sexual abuse as a children. 2) Self-mutilation and suicidal or aggressive behaviours may occur. 3) Certain ego states (but not others) may experience psycho-physiological phenomena such as pseudo seizures, or a supernormal ability to control pain. 4) There are reports of marked variations across ego states (within the same individual) in physiological attributes, e.g., one ego state may be short-sighted, or asthmatic, but not the others. The author says that therapy with these people aims to help them retrieve a basic framework of memories of their childhoods. That enables them to make sense of what has happened to them, and in turn this enables people to move forward with their present day lives. She feels it is crucial that people have an understanding of what they have been through. Not so they can apportion blame (she is adamant that this is not helpful), but so they can stop having traumatic responses to hidden memories. I really enjoyed Stout's well-written and engaging narrative describing her years treating dissociative disorders including DID, Dissociative Identity Disorder formerly referred to as Multiple Personality Disorder. The workings of the human brain are so complex and only marginally understood, and disorders like DID seem to suggest that our sense of self is considerably more illusive and elusive than most of us would like to believe. The book talks about the implications of trauma in childhood on the psychology of adults. The "myth" of sanity is that we all have moments where we "dissociate" based on childhood experiences that can be fear inducing to traumatic. To the extreme... Dr. Stout, with as much as intellect and clarity as her explanation of sociopathology in the Sociopath Next Door, talks about Dissociative Identity Disorder (Mutliple Personality Disorder) and the symptoms, experiences, and approaches to healing. The The book talks about the implications of trauma in childhood on the psychology of adults. The "myth" of sanity is that we all have moments where we "dissociate" based on childhood experiences that can be fear inducing to traumatic. The book is fascinating and provides alot of clarity on behavioral psychology-- however it is also sad... as we recognize the scope of abuse world-wide and the profound mystery of the mind and its ability to cope with those memories. I love the quote at the beginning of this book: "With our thoughts, we make the world." 11/27/11 - I really liked the first two thirds of this book because I found them so readable and informative. The last third, entitled "switchers," about people who switch back and forth between different personalities, didn't interest me as much, for some reason. Do you dissociate? 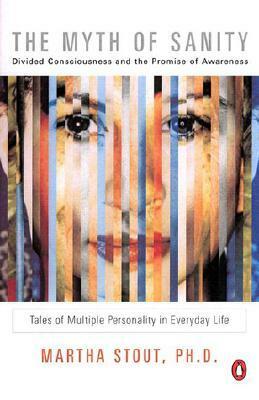 This book by a Harvard clinician explores the range of dissociative phenomena, from momentary spacing out to dissociated ego states to dissociative identity disorder (formerly known as multiple personality disorder). The bad news: you'll probably recognize somebody you know, if not yourself. The good news: with the right approach, they can all be treated. A bit annoyed with Pro-Feminist writing style but, well, the author is a women, LOL. DID is real, and Dehabilitating, yet at the same time amazing in its presentation and protective manner. p. 12 Awareness is life-giving. Dissociation and numbness are lethal. p. 17 "The traumatized brain houses inscrutable eccentricities that cause it to overreact--more precisely, mis-react--to the current realities of life." Result is that the organization/integration is not complete; some portions remain as isolated sensory images and bodily sensations not localized in time, event, or integrated with other events...chaotic fragments. Trauma may also temporarily shut down Broca's Area (region of left hemisphere that translates experience into language, relating). In other words, the brain appears to lay down traumatic memories differently than regular ones. Reactions often relate to this displaced memory fragment and are inappropriate to the actual situation which may be benign. A person can be "ambushed" by extreme past feelings triggered by a current event (horn blast). Often the person has no language to describe this situation...no narrative, no place in time, no story,...just the "blast from the past" knocking her off her feet. In other words, the brain contains a broken image warning device in the limbic system. Anita - the death of her father and the "death" through effective absence, of her mother. p. 20 We all experience these "absences from life" in the "past, in reaction to the darkest hours we have known..." not comprehending "how swampy and vitality-sucking some of our memories really are." SO hard to stay present in the face of the brain's authoritative warnings of danger. p. 24 "...spiritual enlightenment, a timeless relationship that psychologists have mysteriously overlooked." Triggers can be oblique or symbolic in very broad metaphoric terms. Departures of "fugue" - "living, doing" while the Self is not present, "day-walking"
e.g., easy to "forget" your commute to work as you're driving, but as fugue you wouldn't even know how you got to work or from where. Continual, habitual dissociation can make the present difficult to hold onto. Not remembering events that recently occurred, what day it is, what you did three days ago. Dissociation from feeling stress, feeling nothing at all even though you may be intellectually aware, during or after, that feelings are called for..."I never get angry" may cordon off "dangerous" emotions or feelings. Intrusion of dissociated ego states - another "side" to your personality that is markedly different, e.g., harsh, angry, dominating, self-protective, suspicious, accusatory, hostile. "Why am I so angry at toe world all of a sudden? This doesn't make any sense. I'd better chill out!" Except that deliberate chilling out is not really an option; such a state seems to arrive and depart on its own obscure terms. "Julia's knowledge of her own life, both past and present, had assumed the airy structure of Swiss cheese, with some solid substance tat she and her gifted intellect could use, but riddled with unexpected gaps and hollows. This had its funny side. A few months later, when she had gained a better acceptance of her problem, she came in, sat down, and said in a characteristically charming way, "How do you like my new bracelet?" "It's beautiful," I replied. "I've always admired your amethyst jewelry. When did you get that piece?" "Who knows?" She grinned at me again, and we both laughed. Have routines. Make them sacred. Sleep every night. Try to nudge out things you have trouble facing. Try HARD to retain awareness. Keep at it. If you fade out, try to bring yourself back to where you were. I forgot that Martha Stout was the reason I majored in Psychology. My first forays into that particular section of Barnes and Noble came in the form of a book called "Whispers" that zeroed in mostly on schizophrenia, and The Sociopath Next Door, which is definitely Stout's claim to fame. The writing was direct and engaging, and served as a springboard into the field as a whole. I tore through every abnormal psych book B&N had to offer, then, after a momentary stint in community college, I en I forgot that Martha Stout was the reason I majored in Psychology. My first forays into that particular section of Barnes and Noble came in the form of a book called "Whispers" that zeroed in mostly on schizophrenia, and The Sociopath Next Door, which is definitely Stout's claim to fame. The writing was direct and engaging, and served as a springboard into the field as a whole. I tore through every abnormal psych book B&N had to offer, then, after a momentary stint in community college, I enrolled in big-kid university. Three years later, I faced the disillusioning revelation that I'd spent $30,000 dollars reviewing all the things I'd already picked up from narratives by people like Stout. And talking, extensively, about Pavlov. Every single class, no matter what level, spent at least a week on Pavlov. Dogs. Drooling. Got it. Stout's account of DID was vivid enough to give me another burst of that old Med Student's Disease. I blinked into the psychological hypochondria. "Yeah, I'm totally emotionally distant! Yooo I shut down ALL the TIME! Maybe I was way abused as a kid, and repressed it, and now I've got a bunch of personalities!" I managed to shake this delusion halfway through the book (admittedly, much sooner than when I read Confessions of a Sociopath and spent a week concerned that I had no soul before realizing, "wait, if I had no soul I wouldn't be concerned. Also, I'm a dog person." Still, I've met and spent a lot of time with people who fit Stout's account of switchers. Even if my prognosis is way off, she recommends (or exemplifies) certain modes of behavior around people suffering through specific tiers of DID, and even if I'm mistaken or projecting, it provides a good chunk of insight. A last word: I know changing it to "Maggot!" was probably the publisher's decision, but it really did disrupt the flow of the story. We knew what you were after. We're all adults here, and we understand the explosions of a deeply unbalanced woman (being used as an example a child abuser) do not reflect the views of the empathetic, world-renown therapist or her publisher. The Myth of Sanity was one of the best psych books I've read in a long while. This book is the most readable, easily understandable description of Dissociative Identity Disorder (DID) that I have read. As a psychiatrist of thirty years practice, I always find it a novel experience to come upon a book that captures the complex heart and soul of a difficult diagnostic category. Dr Stout gives compelling case histories that give one the essence of what treatment could feel like if you were the therapist. She helped clarify a question that I have had about the "authenticity" This book is the most readable, easily understandable description of Dissociative Identity Disorder (DID) that I have read. As a psychiatrist of thirty years practice, I always find it a novel experience to come upon a book that captures the complex heart and soul of a difficult diagnostic category. Dr Stout gives compelling case histories that give one the essence of what treatment could feel like if you were the therapist. She helped clarify a question that I have had about the "authenticity" of a DID presentation in the course of therapy, which can often feel like very bad acting. She observes that the identities will only be as successful as the "talent" that a patient has for acting--because, in a certain sense, they are "acting" the role of an inner emotion, conflict, and/or reaction to experience and trauma. I also felt compelled by her observation that those who are able to get better, are those who take ultimate responsibility for their behavior, whether remembered or not--those who hold themselves accountable, either because they are dedicated to a relationship (a child of their own) or a vocation. In reflecting upon my own experience as a therapist, I find that conclusion to be very true. Absolutely compelling. Martha Stout humanizes the typically "crazy." In this study on dissociation and trauma, Stout helps the reader gain some understanding and empathy toward those who have developed overbearing dissociations due to early trauma. Through narrative interspersed with clinic analysis, she delves into the complexity, volatility, and strength of the human mind, while also suggesting ways in which people can recover from the vast defenses that our minds can construct against trauma. Absolutely compelling. Martha Stout humanizes the typically "crazy." In this study on dissociation and trauma, Stout helps the reader gain some understanding and empathy toward those who have developed overbearing dissociations due to early trauma. Through narrative interspersed with clinic analysis, she delves into the complexity, volatility, and strength of the human mind, while also suggesting ways in which people can recover from the vast defenses that our minds can construct against trauma. I read this book for my book group, and I'm so glad I did. Very out of my reading comfort zone. The book was really fascinating, mostly about how trauma sometimes divides one's consciousness as a coping mechanism. The author, a therapist, writes with such a compassionate tone and explained a lot of things that I didn't at all understand before, like the therapeutic use of hypnotism, and dissociative reactions. I found her view of human beings in general to be very inspiring, as she described man I read this book for my book group, and I'm so glad I did. Very out of my reading comfort zone. The book was really fascinating, mostly about how trauma sometimes divides one's consciousness as a coping mechanism. The author, a therapist, writes with such a compassionate tone and explained a lot of things that I didn't at all understand before, like the therapeutic use of hypnotism, and dissociative reactions. I found her view of human beings in general to be very inspiring, as she described many very brave people who had to deal with terrible, terrible trauma - but chose to do it and live, rather than die. “-If I somehow possessed a set of videotapes that contained all the most significant events of your childhood, in their entirety, would you want to see them? -Absolutely. Right this very second. -But why? Don't you think some of the tapes would be very sad? -Most of them, yes. But if I could see them, then I could have them in my brain like regular memories-horrible memories, yes, but regular memories, not sinister little ghosts in my head that pop out of some part of me I don't even know, and take the rest of me away. Do you know what I mean?